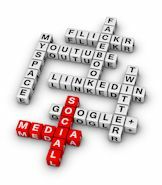 “Sir, I have never quite gotten my head around your opinion of Social Media versus other types of marketing vehicles. One moment you seem to despise it, the next you seem to approve it. I find it quite dizzying,” I began our weekly conversation with what The Effective Detective might consider a slightly plaintive tone. “Which would be?” I asked, anxious to get this point resolved. “Why it is quite obvious isn’t it?” The Detective queried back with a smile meant to irritate. “The data point you are missing is ‘who is the audience’? Really Watson, I fail to see why we should get into an involved discussion on this topic.We should be able to dispose of it in record time,” The Detective answered his own query. “But our industry exhorts all of us to pay attention to Social Media, to worry about our KLOUT score…” I blurted out in frustration. “Bah! Watson, since when did we pay much attention to the pack… well perhaps when we agree, but, in this case, our industry is suffering from shiny object syndrome – although I would have thought the shine of Social Media and all of that rot would have dimmed a bit by now,” The Detective paused to contemplate. “There you go again, sir! Denigrating Social Media!” I interjected. “What? Oh, Watson, I suppose it could seem that way, but actually what I was denigrating was the tendency of our industry, like many others – the technical industry comes to mind, to chase after the latest and greatest thing, and immediately anoint it to be ‘the solution to all of our problems’! Of course Social Media has its uses! So does Response Based Direct Mail, Video Marketing, Email Marketing, I’ll even go as far as to say Search Engine Optimization still has a role to play. But each of them must be matched to the intended audience of the message. “Let’s take Facebook as a perfect example. If you are selling a consumer product, say a soft drink, or some alcohol based concoction, you will most likely find a receptive audience, especially if you are offering coupons of some sort or an invitation to some massive event where you product will be available in copious amounts. Your page and most likely a lot of your posts will garner lots of likes and attention. “However, if you are promoting small business marketing tips, you will find your audience a little less receptive. Facebook is largely an emotional medium – post that your dog is sick and watch how many people like your post. However, if you post the same to LinkedIn, or create a LinkedIn discussion about some aspect of marketing, you may find a more enthusiastic response. You see? Matching the message to the media. “The true issue here is that most of us in the small business category typically have limited time. We don’t have a massive marketing department that can assign someone to post to Facebook all day. So, rather than jumping on the bandwagon and then wondering what we are doing wrong when we get minimal response, we can decide to largely ignore a particular medium – even though the fact that it is inexpensive or even free is enticing, and dedicate our time to more productive media,” The Detective finally finished. “Dispose of the topic in record time sir?” I chided The Detective. “Watson, I believe we have work waiting for us,” The Detective replied, pointedly ignoring my jab, and closing our conversation for the day.